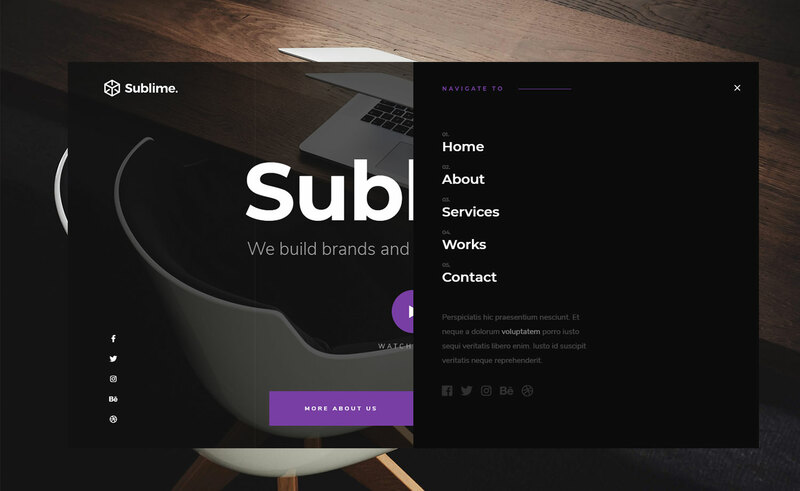 With a unique & remarkable navigation menu along with copious animation enrichment, and a fully customized gallery, the free multipurpose agency template, Sublime is here. 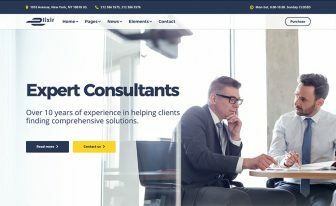 Empowered by various features and technologies, this free website template is the one to get if you’re planning to have an exclusive website for your company or agency. The first thing that no one can miss on Sublime lies in its banner. It has a dark, elegant color scheme and background, an embedded video playback icon, two call to action buttons built-in. But, what’s remarkable is its navigation menu. The burger menu sticks on the top left of your screen and is readily available to you wherever you’re on the website. And, upon clicking, an animated and gorgeous navigation menu slides in. From this wonderful slide-out menu, you can reach anywhere in the pre-built sections. The sections include services, work, contact and an about section. Descriptions and information about who you are and what you do can easily be placed in the pre-built sections. You’ll only be needing the content, the design and the technology is already there. Different technologies like on-hover animation, smooth scrolling effects, slick slider, device responsiveness or the parallax background increase the aesthetics for sure. Animated social media icons are available in several places to engage your customers even more. Then, the work section is basically a custom made, unique gallery section. 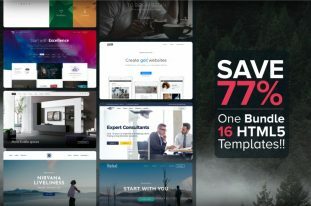 In addition to on-hover effect and magnific pop-up options, several powerful plugins enable the visitor to give a completely different feeling. You can zoom in or out the magnified image. If needed this image can go full-screen too. From the same place, you can even share it which increases the functionality of the gallery section as well as of the free HTML5 template. Another interesting thing about this free one-page website template is, you get a documentation file inside the download package. Different styles and ways of using the template efficiently are shown here. Surely. it’ll serve its purpose time to time. 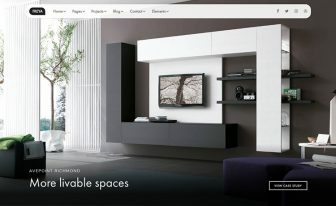 ThemeWagon is a specialized creator and distributor of modern and state of the art HTML5 templates. 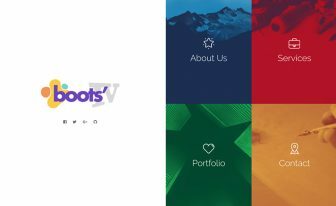 Along with hundreds of free Bootstrap templates, we have some excellent premium templates as well. 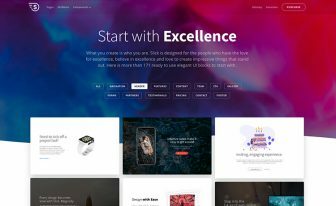 For example, Elixir is an outstanding agency website template which will probably blow your mind with its ratio of design and pricing.